Fr. Jim Needham was born in Pontiac, Michigan, and grew up in Cape Coral, Florida. He graduated from The Florida State University with a Bachelor of Science Degree in Social Work and minors in Religion and Music. He Earned a Master of Divinity degree from Southern and Southeastern Seminaries. He has also done extensive post graduate work in the fields of humanities, communications, sociology and religion. Currently he is writing his dissertation for the Doctorate of Ministry which he hopes to completed in 2015. He is also near completion on his certification in life coaching for church leaders and Pastors.. 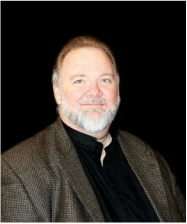 He is a certified Myers-Briggs Temperament instructor and offers consultations and conferences to business and churches. He also plays a number of musical instruments for civic and church events. Fr. Jim is married to the former Chris Schmidt. We have five children together, ages 21 to 35. Jim is the founding Pastor of St. Luke’s and shaped its vision of a church for "those who may have given up on church but not on God," He is known for Spirit-filled, down-to-earth, Biblical preaching and reaching out to those who are struggling to provide acceptance, strength, healing and guidance. Before becoming an Anglican in 1996, Fr. Jim grew up and was ordained as a Baptist. His ministry began at age 16 and he served congregations in five states as a Youth Minister, Music Director, Evangelist and Pastor. He has also worked as a counselor for Teen Challenge, as a social worker for the Elderly and as a disability examiner. Among the interesting things he has done are biking across the United States, visiting 4 continents, playing jazz, classical and bluegrass music on the violin, authoring journal and newspaper articles and designing, making and selling his own line of jewelry. In his spare time he enjoys coaching football (from the sofa), fishing, camping, cooking, singing and dancing, and playing music with his wife, Chris.